Can we please stop talking about 3D printers “making” a device when they’ve actually made a few simple structural components, and then purchased all the important bits from conventional manufacturers. In other words, get back to me when you can 3D-print ARM CPUs and LCD screens, and then you can tell me you’ve made a home-manufactured laptop. At 300 bucks a pop, I imagine this will find its way into the developing world in a few iterations. It’s impressive now but it will be gob-smacking then. You can already buy laptops for $200 a time. Why should the developing world be especially interested in one that costs more and doesn’t run most consumer software? This looks like yet another demonstration of 3D printers making things that look like other things that actually work. I’ve taken apart a lot of laptops. Thy tend to have things in them such as flat cables and metal hinges and springs and RF shielding etc. that are not present here. Maybe none of that stuff is needed. Maybe the existing laptop builders don’t know what they’re doing. Why would I want to buy this for $300? Who will to be accessible for? What will it run? Will it freeze up with LibreOffice? Right! There’s no reason these components wouldn’t fit inside a wooden box, earthenware frame, leather binder, discarded candy box… the 3d printer is an unneeded complication better suited for serial manufacturing, while the manual skills to build the container should be better valued, preserved, developed. while the manual skills to build the container should be better valued, preserved, developed. I hope you’re leading the charge here! I’ve got a lathe, a CNC mill, and a 3D printer in my garage, among other things like soldering irons. I wish they posted more news updates. There has been almost no information on the project since its inception. They’d probably generate more pre-sales with some pictures of current prototypes, buzz about what they’re doing, etc. I’d love to see a video of the talk for WebVisions Portland. Update: Found updates. They should consider adding them to their own website in a “news” section. Pi-Top, a Raspberry Pi laptop you build yourself! Learn to make Printed Circuit Boards, start 3D Printing and create real Hardware products! 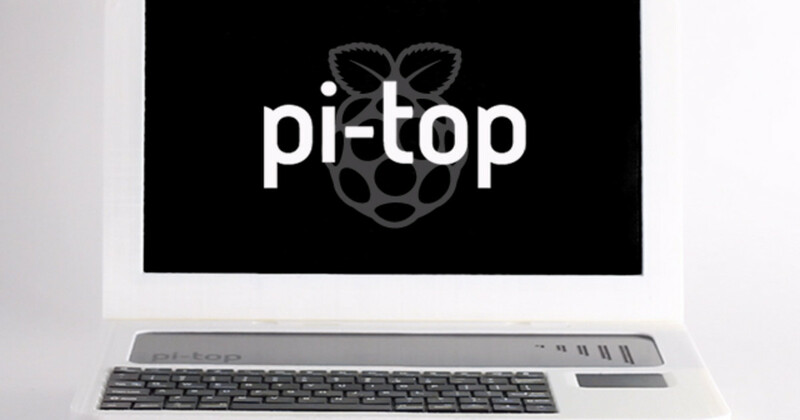 | Check out 'Pi-Top, a Raspberry Pi laptop you build yourself!' on Indiegogo. I would rather buy the electronic components and either print the case myself or as you say make it out of something else. Seems the options are buy all with a Pi or buy all without a Pi. You can even run Windows 10 on it, won’t run x86 apps of course, but should run most of the Windows Store apps (bar any games and things that might require extra resources). The question is, does the Pi really need Windows? “A few iterations” aren’t going to cut it. It will require a host of fundamental new technologies of which we currently have no inkling to enable people to manufacture their own electronic components at home. And those same new technologies will probably enable traditional manufacturers to make components that are so much better that no one wants to make their own. I was referring to the declining cost of the components over time. After a few iterations of the thing it is likely that the price point will be lowered to the point where deployment to 3rd world markets will be within scope. Alongside the currently extant laptop per child schemes. You seem quite eager to hammer home your point, using what you imagine I’ve said as a foil but I don’t really disagree with you. We’re probably talking at least a couple of decades before 3d printing is ubiquitous to the point of enabling at-home manufacturing on a scale that will foster real change. However, I believe that manufacturing capabilities of large companies that wish to make their manufacturing, and especially, prototyping more cost effective will lead more quickly to a state of affairs where 3d print manufactured consumer objects can begin to infiltrate such markets. But please, do go on with whatever it is you’re doing. Well, that’s a nice concept demonstrator… And to my ignorant eye, it seems to be good for cheap, and possibly environmentally friendly (think easy recycling) manufacture. What are the specs of this laptop? Okey, it’s a Pi, that much is clear. But for the rest? But as others have said here, you can get perfectly good laptops for next to nothing, or rather, not a cent. In fact, it might be that I live in a prosperous Northern European country. But I have got 3 working laptops from the electronics trash bin in my building last year (and a classic, working Nintendo Game&Watch). In two cases, with one or two working power adapters. I cleaned them, formatted the hard disk, and installed what I wanted. Fedora, Ubuntu, other flavors of Debian, Windows XP (now it’s free, sort of). And I don’t have an electronics workshop and spare parts! Imagine what could be done just if the municipality allowed a volunteer association to collect trashed computers, cleaning and basic repairs, cannibalize those that aren’t in shape, install an open source operating system, and there you go! One Laptop per Child or Adult, at most five years behind the bleeding edge nowadays.